The main pool at the Tollcross Swimming Centre will host the swimming competitions and is expected to draw crowds from all over the world. This summer will see 6,500 athletes and officials from 71 nations of the Commonwealth compete for gold and glory in Glasgow at the Commonwealth Games. It will be the biggest multi sports event that Scotland has ever hosted, with aquatics being one of the core elements in the sports programme. At the heart of the aquatic activities will be The Tollcross International Swimming Centre, with its Olympic-sized pool, which will play host to all the swimming competitions. The centre reopened to the public in August last year following an extensive £14 million redevelopment. The main 10 lane 50 metre swimming pool now boasts extra seating for up to 2,000 spectators, and a further 3,000 seats will be added in time for the games. A second six lane 50 metre pool was also added to the venue. This will be used as the training, warm up and warm down pool during the games and will be used on a daily basis for casual swimming and a lesson programme. 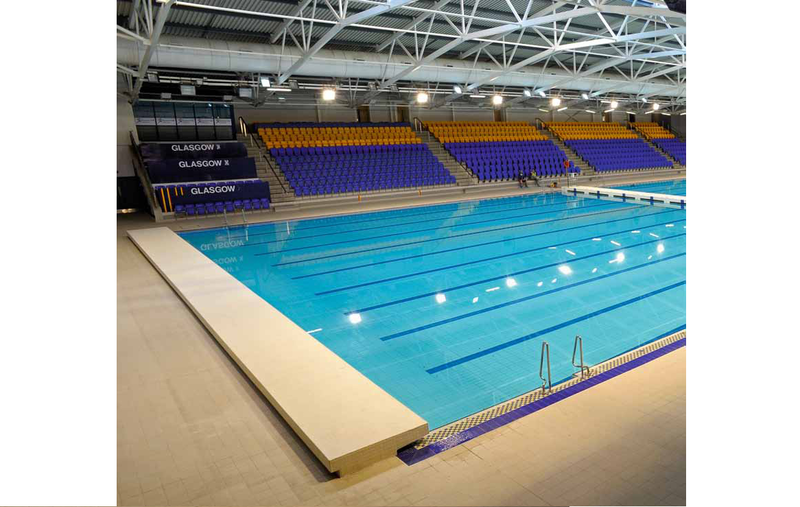 Pool engineering company FT Leisure Ltd were commissioned to design, supply and install the filtration and water treatment systems at the Tollcross centre, based on their knowledge and experience of large scale aquatic centres. The original filtration system for the main competition pool incorporated an ozone sterilisation system. Due to significant technological advancements in ultra violet sterilisation systems in the last 10 years and in response to pressures to find energy efficient and environmental solutions, the ozone system was replaced with UV. In addition, the medium rate sand filtration system and associated components were refurbished to extend the life of the plant. The system is controlled through a SCADA system including fully automatic backwashing, which FT Leisure reconfigured to incorporate the new sterilisation system. With the exception of the sand filters, FT Leisure designed and installed a complete new filtration and water treatment system for the new training pool. The redundant ozone reaction vessels from the aforementioned main pool were converted into medium rate sand filtration vessels for the training pool. Michael Cavanagh, chairman of Commonwealth Games Scotland, said: “It is fantastic to see Tollcross upgraded into a world-class venue with all the facilities required to host a major Games. This will undoubtedly be one of the action hot spots during the Commonwealth Games, and I know that the Team Scotland swimmers will relish competing here in front of a noisy home crowd and contributing to our medal tally.” Scotland’s largest operator of health and fitness facilities, Glasgow Life, currently manage and maintain the pool. During the games the venue will be operated by Glasgow 2014, with staff from Glasgow Life manning the venue. 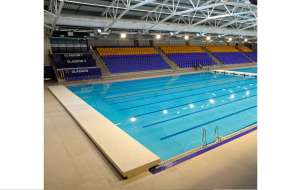 Following the games, Tollcross will be handed back to the local community, providing a permanent training and recreational facility, as well as a venue for major international swimming competitions.